Laura M is celebrating 3 years with Iron Clad!! So of course, we are celebrating her as our Member of the Month for August. Laura came to Iron Clad with no prior knowledge about or experience with kettlebell training. 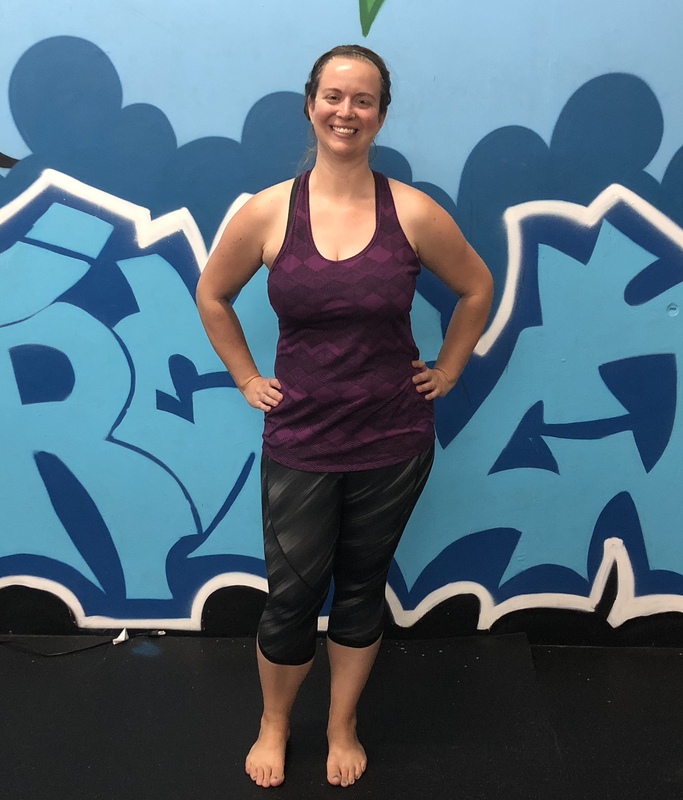 She was simply looking for a small, friendly fitness studio near her; a safe space without the intimidating feelings that often go with starting a new training program. When she joined, Laura had just been medically cleared from major surgery, after she donated a kidney to her father! I think that alone tells you a lot about this kind, caring soul. After donating a major organ, maintaining her best health is a very high priority for Laura. Over the years, Laura has seen some amazing improvements with her technique, strength and overall health. She’s got some impressive numbers up on the Wall Of Strength. Laura is also really good about listening to her body and honoring what she needs on any given day. This means she can push hard when she knows she has it and she can dial back when she knows she needs it. That is a true skill that isn’t always an easy task! As with many of my long-time members, Laura and I have shared lots of laughter as well as some tears through the ups and downs that life brings us. I was thrilled to be able to share in a recent victory with Laura when she announced that she had fulfilled a dream of hers by starting her own non-profit organization! It’s called Resilient Futures. They provide school-based programs and training that help promote success and resilience to trauma-impacted youth. This is a very important service in today’s world and yet often a very overlooked area of need. You know we believe in supporting our own, so stay tuned for a FUNdraiser coming to your favorite gym soon! Thank you for 3 wonderful years and congratulations on all of your success, Laura!